If you are charged with reckless driving, a conviction can involve many more consequences than the actual sentence that you face. A conviction would result in a permanent criminal record, and you may find that the conviction affects your ability to obtain employment, a professional license, or a loan. Your worries can be magnified if you have come to the United States from another country and are applying for lawful permanent residency, also know as a green card, to remain here and work. 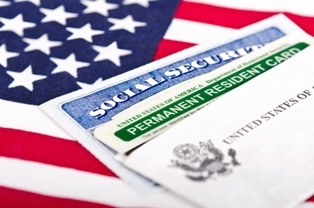 A green card can be the first step in the process of becoming a permanent resident and a United States citizen, but you must meet specific requirements in order to obtain it. On the application, you will be asked whether you have been "arrested, charged, indicted, convicted, fined, or imprisoned for breaking or violating any law or ordinance, excluding traffic violations." A reckless driving charge is most frequently a Class 1 misdemeanor, which is more serious than a traffic infraction. If your reckless driving resulted in someone’s death, you may be convicted of a Class 6 felony. You will need to consult with an immigration attorney to determine exactly how a reckless driving conviction may affect your green card status. If you are facing reckless driving charges and applying for a green card, it is vital that you retain an experienced criminal defense attorney. Even if you believe that you are guilty, you may have defenses that may result in the charges being dismissed or reduced to a less serious traffic offense that would not affect your green card application. To find out how our experienced legal team can help, start an online chat to schedule your free consultation. What Can I Do to Help My Attorney in My Criminal Case? What Are the Possible Defenses to a Reckless Driving Charge in Virginia?